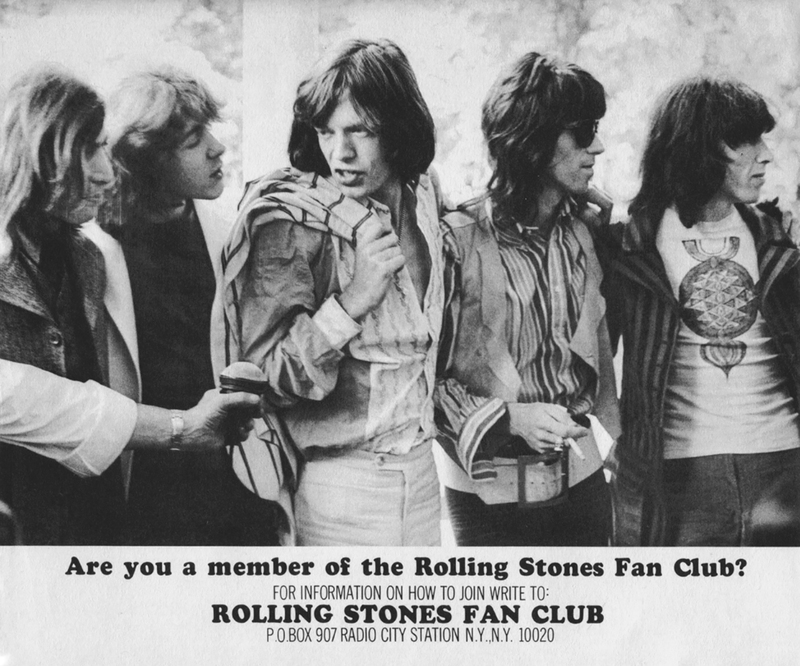 This insert that came with the Rolling Stones' 1969 LP Let It Bleed promoting the Rolling Stones Fan Club struck me a slight incongruous. With the possible exception of new Stone Mick Taylor, these guys just look well past the tenny-bopper/fan club phase by this point in their career. A fun artifact, nevertheless.